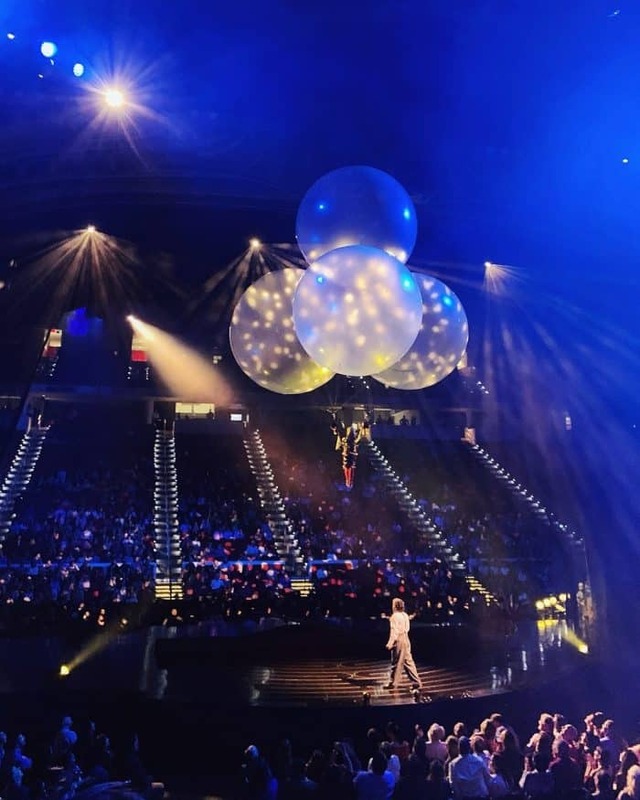 Cirque du Soleil is back in Raleigh this weekend with another beautiful and fantastical experience. Corteo is based on a clown’s vivid dream, where we see a world between heaven and earth as he imagines what his funeral might be like. All I can say is wow, I want to dream like that! 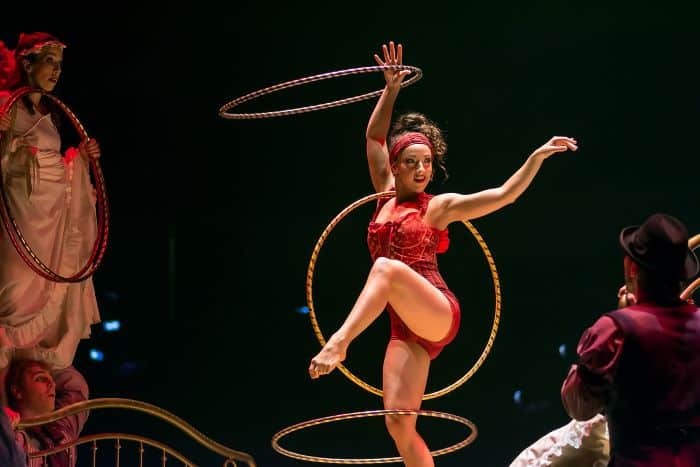 Corteo transported me from Raleigh, NC to an ethereal circus dreamland full of gorgeous music (which is performed live), incredible costumes and a combination of languages so beautiful it’s almost musical. And y’all, the lighting in this show is a character on its own. Together, one really feels transported to a magical place full of sweetness and a life well lived. We were provided with complimentary tickets to this show. All opinions are my own. Want to see what I mean? Check out the Corteo trailer. Official: Corteo, which means cortège in Italian, is a joyous procession, a festive parade imagined by a clown. 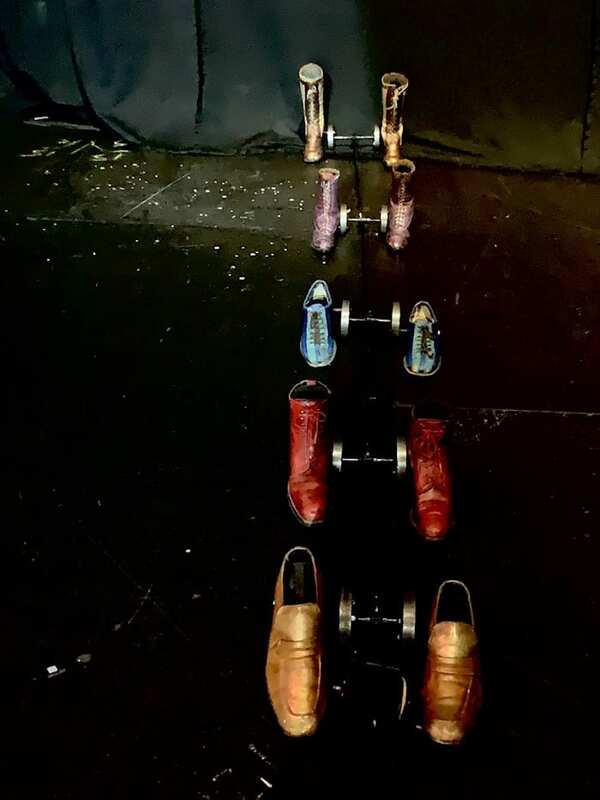 The show brings together the passion of the actor with the grace and power of the acrobat to plunge the audience into a theatrical world of fun, comedy and spontaneity situated in a mysterious space between heaven and earth. During the show there were many moments of humor and whimsy and many times these were little surprises at unexpected times. I saw the show with my 10-year old son and we both loved it. I think everyone’s favorite part was the helium “dance” as pictured at the top of this post, but that was only one of many wonderful moments. We were both impressed by the jugglers, the chandelier act, and my son’s favorite was definitely watching the men do flips on the teeterboard. We could have watched that all day! 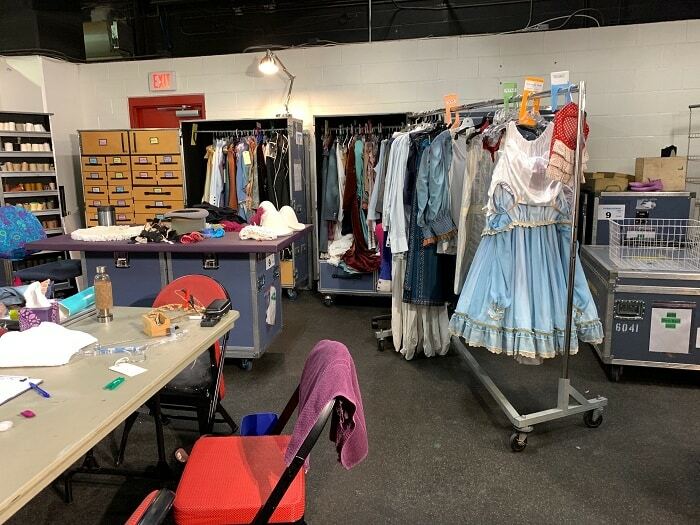 I had the chance to tour the backstage area during the day at rehearsals and like my time behind the scenes at Crystal, I was once again amazed at the quality and attention to detail from the performers to the costumes to make up and even the music. 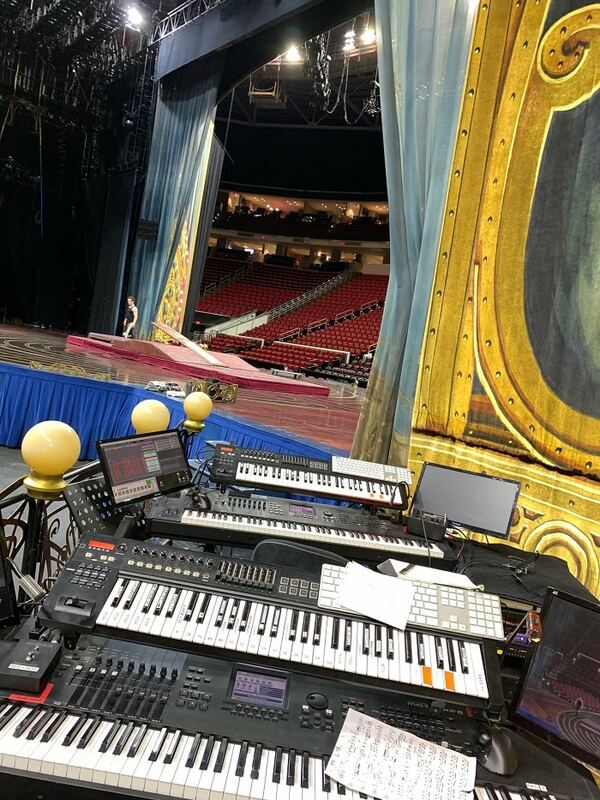 The stage setup is unique for Corteo. It’s open to two sides and closed off to the ends of the arena. For this reason, there are actually two different backstage areas. 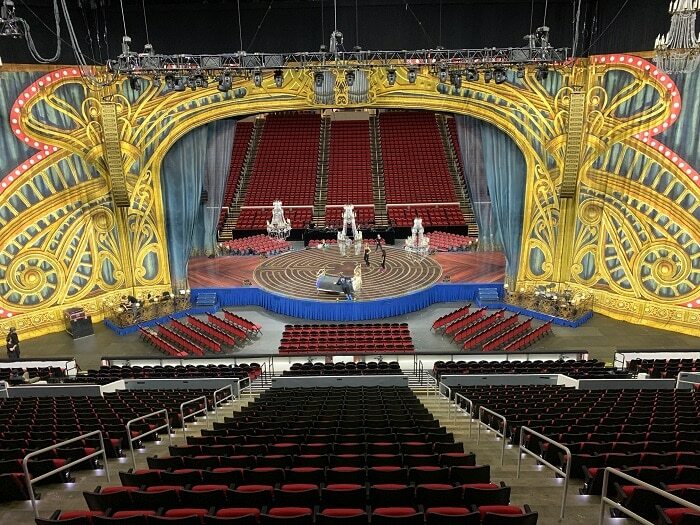 Corteo has live musicians for the entire show and they have small spaces surrounding the four corners of the stage. In one corner, a director monitors the live performance on a computer screen and can communicate to the other musicians if adjustments to the speed of the music are needed to sync with what is happening in real time. In real time! I will tell you this was seamless during the performance and if anything was repeated or changed, I had no idea. The set and costumes are simple, yet exquisite and that is evident throughout the show. 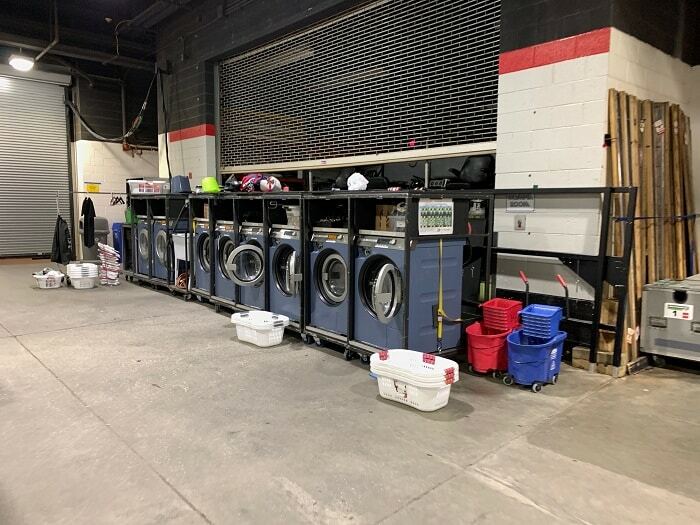 And yes, they bring their own washing machines to clean them after every single performance! At the same time I felt that I was in a dream and also at some bohemian circus in the 19th century. I could imagine that I was sitting in a Victorian theater while being amazed by the skilled jugglers, acrobats and flying women. This is why I love Cirque du Soleil. They are so much more than circus performers. They are actors, singers and storytellers inside and out. Everything tells a story from the sets to the music to costumes and the lighting. 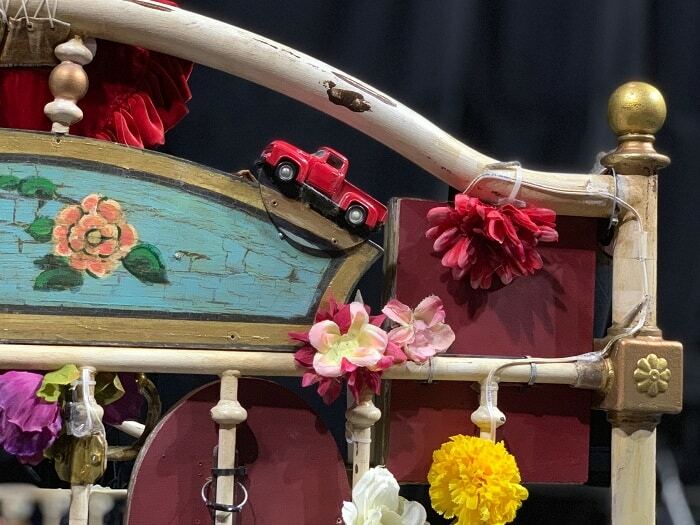 There is still plenty of time to see Corteo in Raleigh. 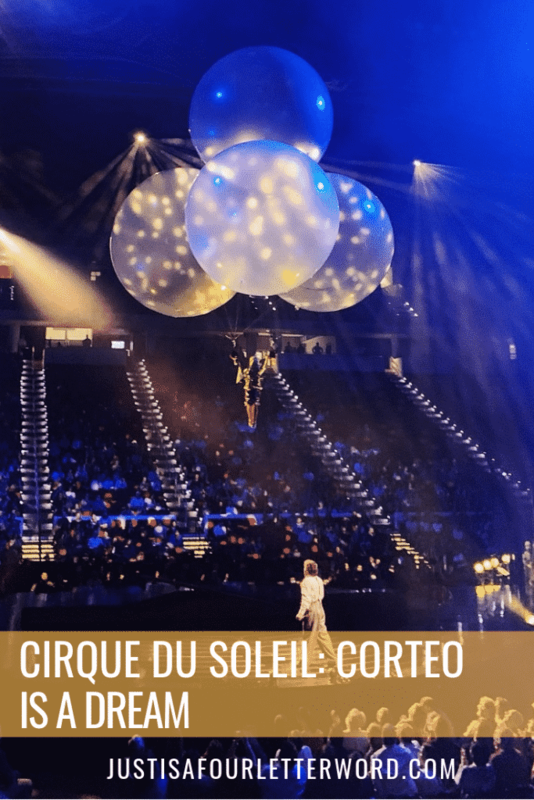 Cirque du Soleil Corteo runs through Sunday February 10, 2019 and tickets are still available for all remaining shows. Times are below and tickets are available from PNC Arena. 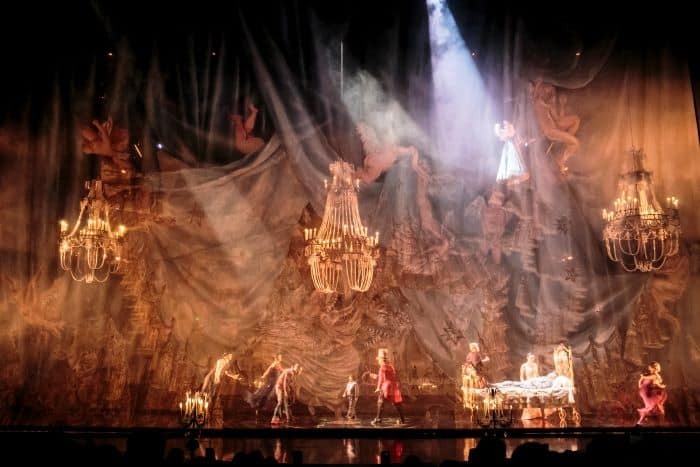 If you have a chance to see Corteo, I hope you’ll take it and enjoy the dream!